Hi I'm David, Bark Busters Dog Training Lincoln. 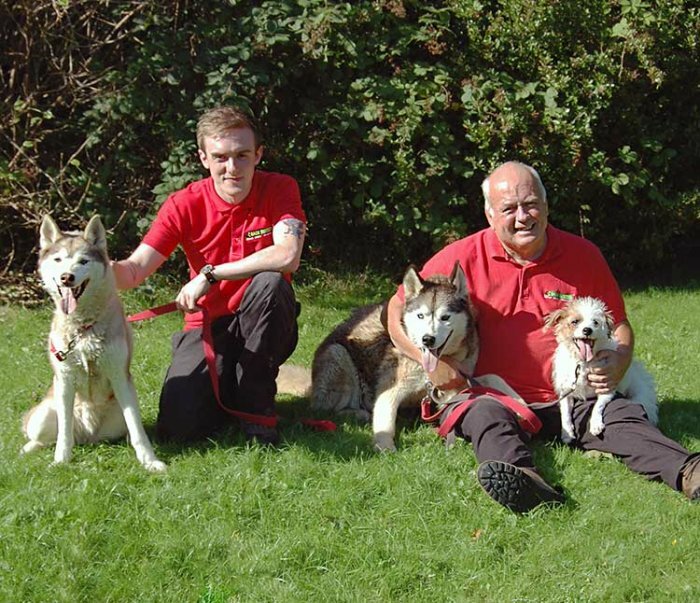 My professional career with Bark Busters started after owning dogs for many years and having problems with a number of dogs myself. When I had difficulty with dogs I found that everybody had advice but none of it worked for my dogs. I bought training books and spent a fortune on various recommended dog trainer equipment which promised to fix the problem. Looking for the quick fix to my dogs problems, but they all stopped working after a while. I got used to other dog owners looking at me as they walked past with their well behaved dog whilst I struggled to keep mine under control - believe me I've been there!! I wish I had found the Bark Busters behaviour methods then! Aggression to people, dogs and cats, jumping up, barking, pulling and lunging on the lead, not coming back when called and just plain behaving badly are all problems that our system can stop in a gentle, effective and permanent way. The system works by finding out why your dog acts the way it does and then showing you how to alter your dog's behaviour in a way he will understand, using voice tone and body language; seeing you as the leader and wanting to please you. It really does work well and quickly too, as you can see from my client's testimonials. The additional peace of mind of the 12 months or life of the dog guarantee is a great reassurance for you. If you find problems reoccurring, or other problems developing, then you have ongoing support from me (unlike all that expensive quick fix equipment I bought!). Checking out my webpage is the first step to correcting your dog's behaviour - take the next step and send me an email or phone me and we can start to work together to get the dog you want. Our first session was excellent. Anthony was very courteous, sat with us and listened to the issues, took notes and explained how he was going to approach our challenges. He was very clear with the instructions amd we were amazed with Scouts reactions and the progress made on our first meeting. We found it very helpful and encouraging. Lots of good tips and we learned a lot.